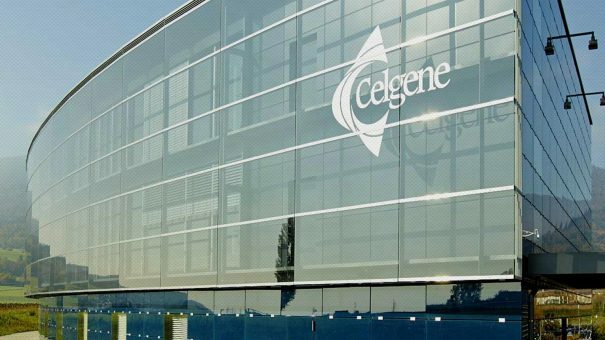 Celgene and Acceleron Pharma have submitted their blood disorder drug luspatercept for approval with the FDA, setting up what could be a new blockbuster for the soon-to-be acquired Celgene. Luspatercept is an erythroid maturation agent for patients with myelodysplastic syndromes (MDS)-associated anemia who have ring sideroblasts and require red blood cell (RBC) transfusions, as well as patients with beta-thalassemia-associated anemia who require RBC transfusions. The submission is based on the results of two phase 3 studies, revealed last year at the American Society of Haematology (ASH) meeting. The MEDALIST trial in second-line myelodysplastic syndrome (MDS) and BELIEVE study in transfusion-dependent thalassemia (TDT) both met their primary objective of a reduced need for red blood cell transfusions compared to placebo. Luspatercept works by accelerating the maturation of red blood cells, boosting their numbers, and functions in a different way to current drugs such as erythropoiesis-stimulating agents (ESAs). Celgene has said that in time luspatercept could become a $2 billion product, and is one of the key drugs the company is looking at to reduce its reliance on multiple myeloma drug Revlimid. It has often been noted as a key factor in the company’s upcoming merger with BMS. Celgene licenses the drug from Acceleron for just $25 million upfront in 2011, with $185 million in milestones as well as royalties also due. The companies plan to submit a marketing application to the European Medicines Agency in the second quarter of 2019. However questions remain over whether drugs like luspatercept that have to be delivered chronically may be superseded by gene therapies from companies such as bluebird bio – which aim to permanently treat diseases like thalassemia with a one-off intervention.